As with most of my innovations, this next one occurred because someone asked me to do something I didn’t want to. 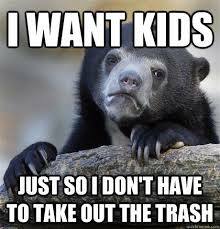 I’m visiting family in Perth at the moment and was sitting on the couch, minding my own business, when mum asks, “Marcel, can you please put the bins out?” Now I was all comfy and happy, so rather than complain and then eventually take out the trash, I pondered the reality of this ridiculous chore. I mean I don’t even vacuum the house any more. I have a robot that does that. Can’t I get a robot to do the bins? Actually yes I can. I mean I’m lifting a small tower of trash and following the same route every week at the same time, then putting it down until I do it all again. Surely I’ve seen this solved somewhere already. Yes. Yes I have. The Amazon warehouse and the News Corp print sites. These groovy little robots do exactly what I need. They zip underneath, lift a very heavy tower of stuff, then move it over there, and finally put it back down. 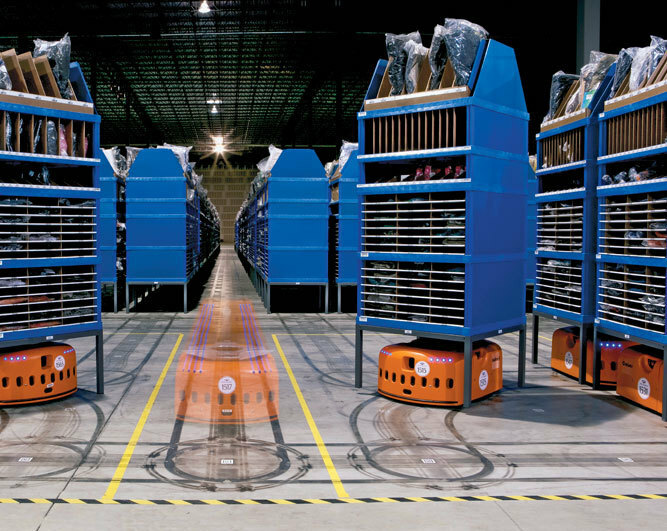 Now I’ve not done the full research on this yet, but I’m thinking the old Roomba platform or line following robot would be a good place to start. Next post The 1st Day of Drunksmas!